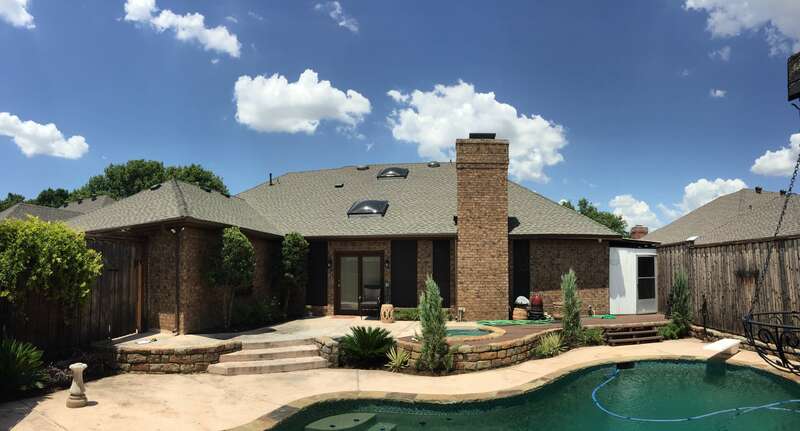 At Final Cut Roofing and Construction, LLC, we are committed to providing customers with outstanding customer service along with the best roofing services in the Dallas/Forth Worth area. Established in 2009, we bring nearly 30 years of collective experience to every project we take on. We are a certified roofing inspector. Take a look at our most common roofing services below. A simple piece of missing shingles can quickly turn into a monster leak! Here’s what to do if you suspect you have a roof leak. If you’re not familiar with your home insurance coverage, don’t jump the gun and call them first. In the state of Texas, insurance companies are legally obligated to allow 365 days from the date of loss for home owners to file and collect insurance money. So relax and don’t panic, you will have time to file a claim. That said, do act with a sense of urgency and schedule an inspection as soon as possible. A small leak can quickly turn into a costly disaster. We suggest scheduling an inspection first. Once you call your insurance company and file a claim, it’s on your record. If the cost of the damage does not exceed the deductible, you could end up with a claim but no actual payment from your insurance company. However, if the damage does exceed your deductible, your insurance company will give you plenty of time to fix the repairs. Contact us to schedule your free inspection so we can properly document your leak and prepare a report should you have to file a claim with your insurance company. You can count on us to be storm ready for the fastest response! There’s no mystery as to how Texas and Oklahoma got the name Tornado Alley. Between the two states, the National Weather Service Center reports over 200 wind storms every year. Almost 50% of these storms average winds between 45 mph and 65 mph. And about 30% of these storms reach speeds of about 80 mph. 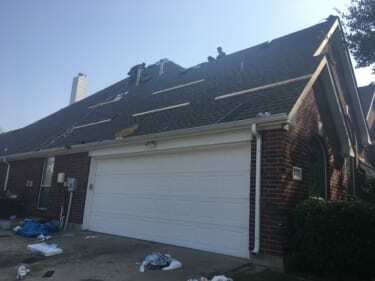 For home owners in North Texas, an unfortunate result of these wind storms is often roof damage. With the increase in wind speed, shingles can be easily dislodged. This starts around the edge of the roof and moving toward the center of the roof. The higher the winds, the more damage your home is likely to sustain. If you’ve experienced a recent wind storm and suspect roof damage, you can count on us for a quick response time. Contact us for an inspection so we can assess the condition of your roofing, siding, and gutters. Our team is trained to spot all signs of damage, including those less obvious. Full roof replacement can be intimidating, but it doesn’t have to be! Whether you’re replacing your roof because of old age or you’ve had extreme weather damage, you can count on us to walk you through the process. Collectively, our team has nearly 30 years of roofing experience, and almost a decade as company in Dallas/Fort Worth area. We take great pride in the education we’ve obtained through roofing industry training, manufacture certification training and continued education. Our understanding of the intricacies involved in roof installation is unmatched in the DFW area and we strictly adhere to industry specifications and manufacturers installation guidelines. Give us a call at 1.888.618.3271 or contact us to get started or for more information on our roofing services. We believe regular maintenance is the key to preventing unexpected roof replacement and major problems. At Final Cut Roofing and Construction, LLC, we believe the best way to prevent an unexpected roof replacement is regular roof maintenance. That’s our philosophy. It’s simple and it’s effective. Keeping up with regular roofing maintenance ensures your roof will be long lasting, keeping your family safe and comfortable for years to come. With regular roof maintenance, you won’t have to worry about unexpected roof leaks during a thunderstorm or black mold quietly growing in those dark corners of your attic. Give us a call at 1.888.618.3271 or contact us if your would like to know more about roof maintenance or simply for more information on our roofing services.